Close your eyes and imagine yourself resting on the snow-white beach, with the cristal turquoise sea water touching your toes and the coconut palm tree casting a shade on your face… Open your eyes: It is all true! 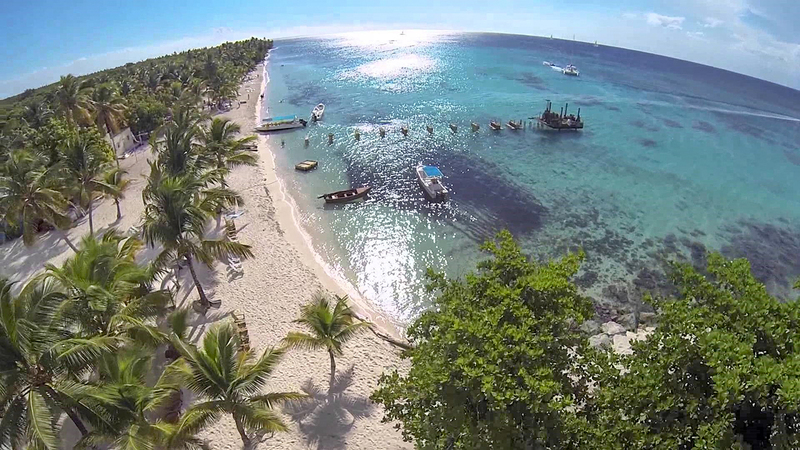 Welcome to Saona island – authentic Caribbean paradise and the largest island of the Dominican Republic! During this 10-hour excursion, you will not only appreciate its beauty but also explore the remarkable Altos de Chavon village. You will walk through its historical streets, feeling the atmosphere of a 16th-century Mediterranean village perched above the Chavon River and frequently used as a film set. 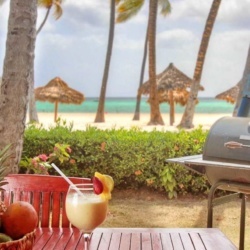 This unique excursion combines relaxing and historical local experiences, as well as allows you to try typical Dominican lunch and enjoy drinks from an open bar. 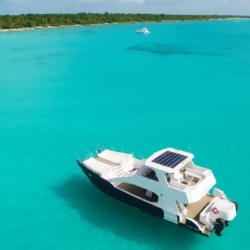 Round-trip transportation from Punta Cana hotels or meeting points is included. Don’t miss this opportunity! 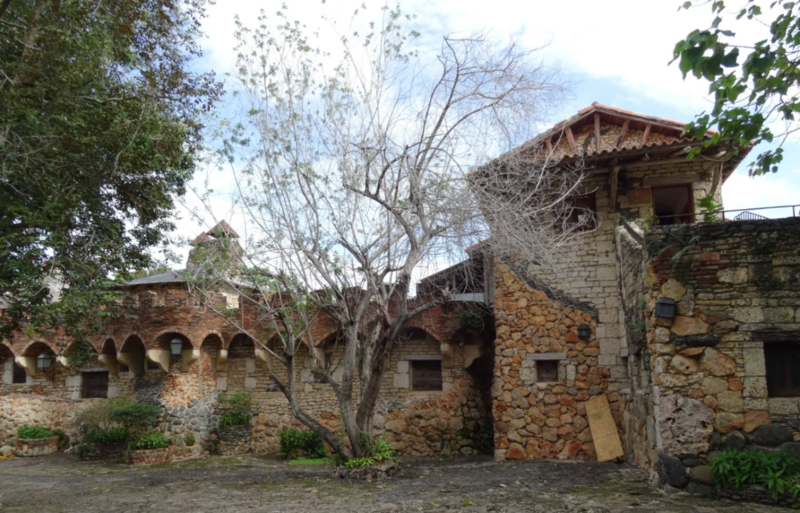 Go Altos de Chavon and Saona Island and spend an unforgettable day! You first stop will be at the famous Altos de Chavon village - a captivating, man-made architectural wonder. The town is a 16th century replica of a Mediterranean village perched high above the Chavon River. The village was designed by Dominican architect Jose Antonio Caro and created by Italian master designer and cinematographer Roberto Coppa. Dominican artisans handcrafted the stone pathways, decorative ironwork, furniture and enchanting buildings, reviving almost forgotten crafts of metal work and stone carving. Under Coppa´s direction, each stone was hand cut, each wooden door frame was handcrafted and each wrought-iron detail was hand-forged. Construction of the village began in 1976 and the inauguration celebrated in 1982 with the concert of Frank Sinatra at the amphitheater. 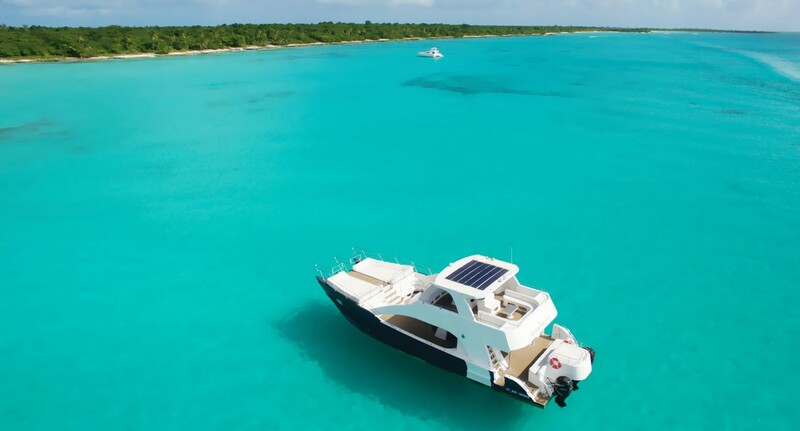 Feel the breeze and enjoy marvellous views of the Caribbean sea on board the catamaran that will take you to the Saona island. 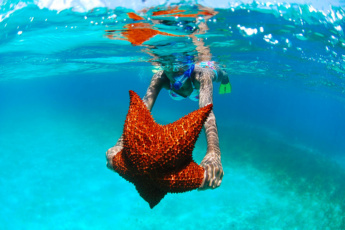 Swim and snorkel in the crystal turquoise waters, chill on the white beach, drink coconut water, buy local souvenirs and feel yourself like a star on the Saona Island! 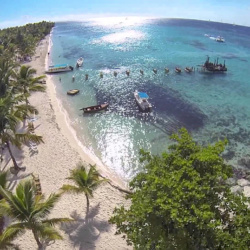 Here you will find one of the most beautiful beaches in the Caribbean, that has been chosen on many occasions by filmmakers and advertisers looking for a stereotypical desert island setting for their film or advertisement. 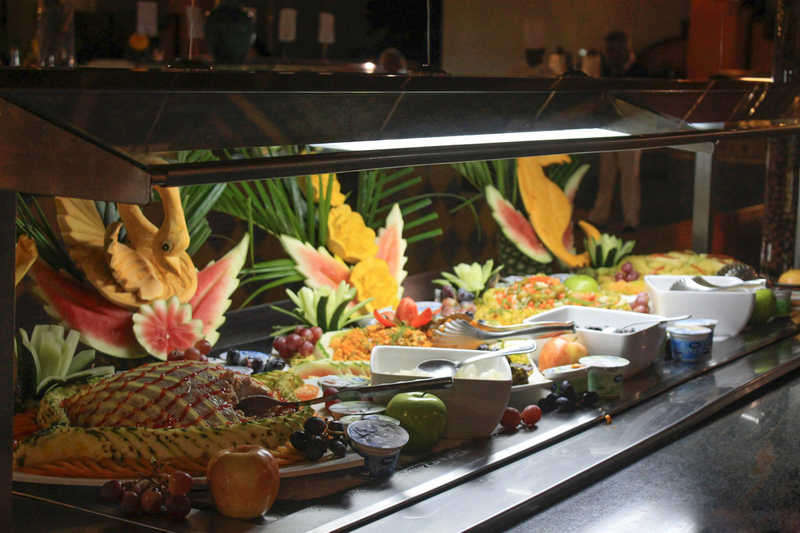 Treat yourself to the BBQ buffet lunch with typical Dominican food. You can enjoy a range of local beverages free of charge at our open bar. What to bring: swimming suit, sun protection cream, sunglasses, photo camera, hat, good mood. 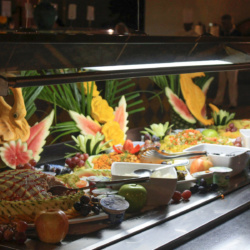 What’s included in the Saona Island and Altos de Chavon trip? 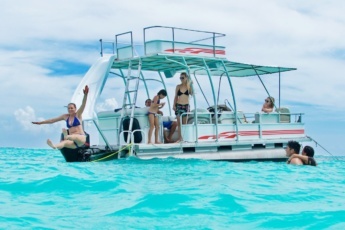 + Comfortable transportation, alcoholic and non-alcoholic national drinks. + Unique swimming and sightseeing experience. It may be very hot and sunny aboard the boat and on the island, so take a hat and sun protection cream with you. 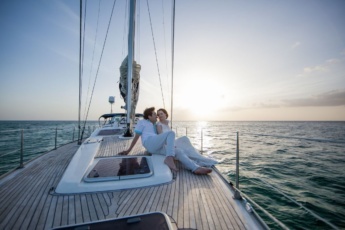 If you suffer from seasickness, make sure to take necessary medication. 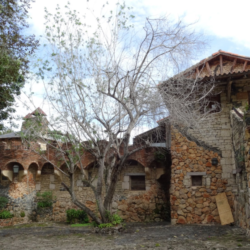 Book your excursion to Saona Island and Altos de Chavon now!